When you add someone as an admin or role on your page, do they log in with their own FB acct, or do you have to give them your password? Thanks for your question, Toye. The admin logs in with their account; pages that they are admin on appear in their left-hand column on Facebook as shown in one of the later images. So they won’t be able to do anything with your personal account – but make sure you understand what you are allowing them to do with your business account and set their admin level accordingly. Hi, I am listed as an editor. Can I add someone else as an editor/admin or do I need admin status? I believe you need admin status to be able to add someone else as an admin – sorry! So as a moderator, you can’t post as the page? You can, if the page owner allows you to. 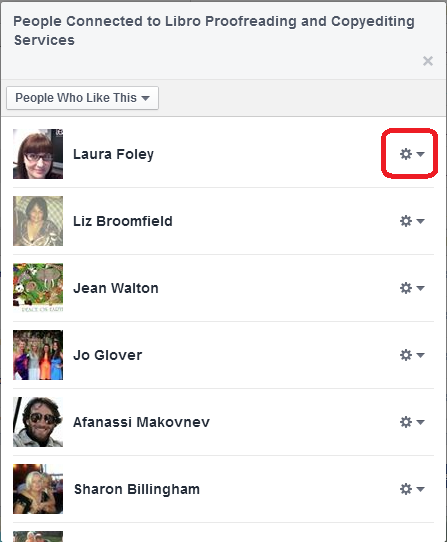 If I become admin of a Facebook page will my friends be able to see that I am on my own page? Thanks for your question. I don’t think so, because I’ve just checked the page of a friend who is an admin of my page, and it doesn’t show on her front page / timeline. Hello Sophie and thanks for your question. No, unless they are friends with you, they won’t be able to see the details of your personal page – and as this post explains, you can give them different levels of responsibility on your business page, too. 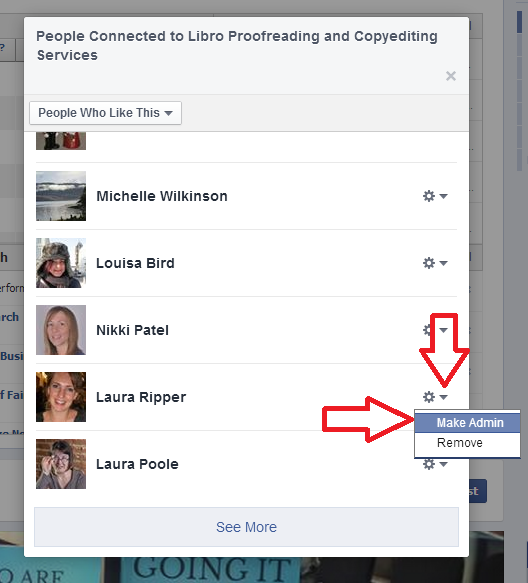 If an editor deletes a photo from the page, does the admin get notified of it by Facebook? If I change another admin’s page role will they get notified? It’s taken me a while to check this, sorry. 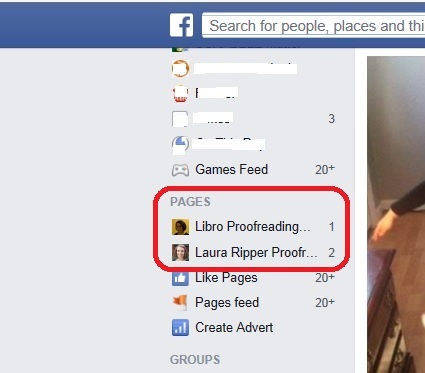 I have an admin on my Libro Facebook page – they were notified in the general Facebook notifications when I changed their role, and emailed. It’s up to the admin whether they are emailed as they need to state that on their settings on the page itself. I don’t have the option to change this myself. 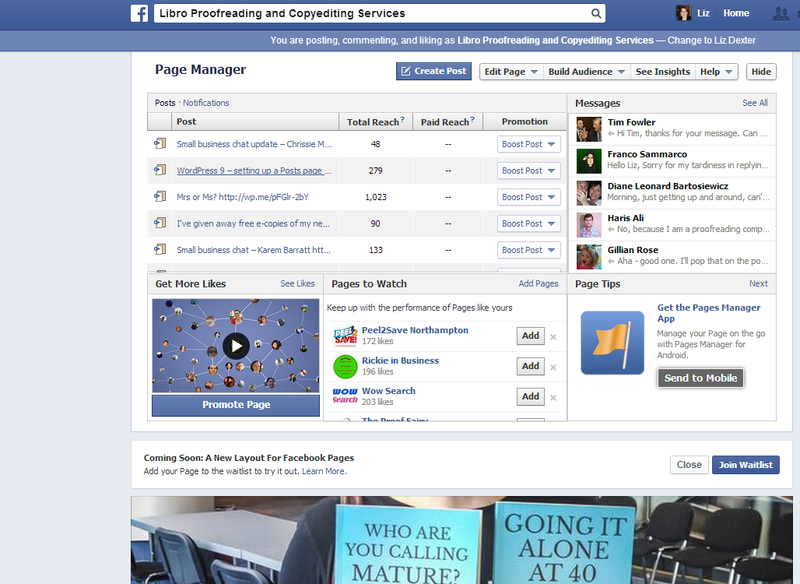 I’m assuming this will be the same for pages and groups. Hope that helps! I want to make someone as an editor. However, i don’t to him/her to send messages as a page? how can i do this? Thank you for your question. People need to be set as a Moderator to be able to post as the page – make sure you have your people set as Moderators rather than Admins and that should work. Let me know if you’re still having problems and I’ll try to help! If you add a person as a moderator to a page you created, can they delete or kick you off the page you founded? Is there anyway to safeguard yourself from other people trying to take over it?